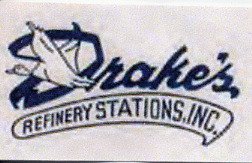 Drake's logo from Robert Scism. 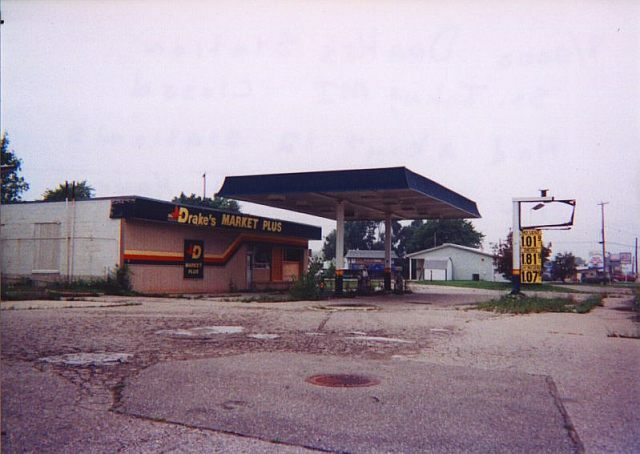 Three photos of a closed Drake's station on US Hwy. 27 in St. John's, Michigan. Taken mid-1996 by Robert Scism. closed in the mid 1990s. From Robert Scism. Taken Aug. 2000 by David Rowlison. Station was already closed when picture was taken. Their earlier logo was red.